Parkinson disease is a condition of the nervous system. It affects 1% of people over 60, but it can affect younger people as well. In Parkinson disease, the cells that produce the chemical dopamine are destroyed. Dopamine helps with quick, co-ordinated movement. When dopamine is reduced, movements can become slow and stiff. Parkinson disease causes shaking or tremor. It can also make it hard to start movements like walking. Later in the disease it can cause depression and dementia. If you develop a tremor or difficulty with movement, you should see your doctor. There is no cure for Parkinson disease but medication can help with movement. It is also important to stay active. This helps to keep your muscles strong and improves your balance. As with other conditions, it is important to have a healthy balanced diet. It can be hard to avoid losing weight if you have Parkinson disease. Swallowing can also give problems. It is important to stay active if you have Parkinson disease. A physiotherapist can help you with an exercise plan to maintain movement, muscle strength and balance. The Multiple Sclerosis & Parkinson's Society of Canterbury offers free physiotherapy reviews and advice on exercise. Or you could see a private physiotherapist with an interest in Parkinson disease. The society offers professional support, information and education for people with, and those providing care for people with, multiple sclerosis or Parkinson disease. Parkinson's New Zealand provides support, education and information for people living with Parkinson disease, their families, carers and health professionals. Cantabrainers Therapeutic Choir is a choir for people with neurological conditions such as Parkinson disease, stroke and multiple sclerosis. The choir differs from other choirs since the purpose of the singing is about learning to use the voice effectively, in a fun way. 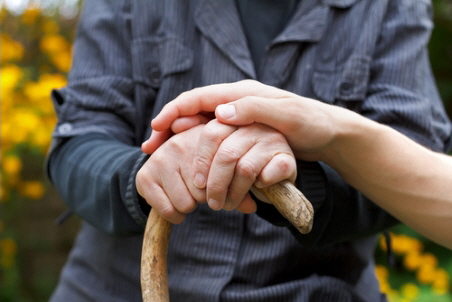 Factsheets on a range of topics about Parkinson disease. This booklet is for people who have recently been diagnosed with Parkinson disease. Written by HealthInfo clinical advisers. Last reviewed November 2015. Last updated December 2018.